This Symposium explores emerging trends and novel ideas and concepts in the area of VLSI. The Symposium covers a range of topics: from VLSI circuits, systems, design and test methods to system level design and system-on-chip issues, to bringing VLSI experience to new areas and technologies. Future design methodologies will also be one of the key topics at the workshop, as well as new CAD tools to support them. 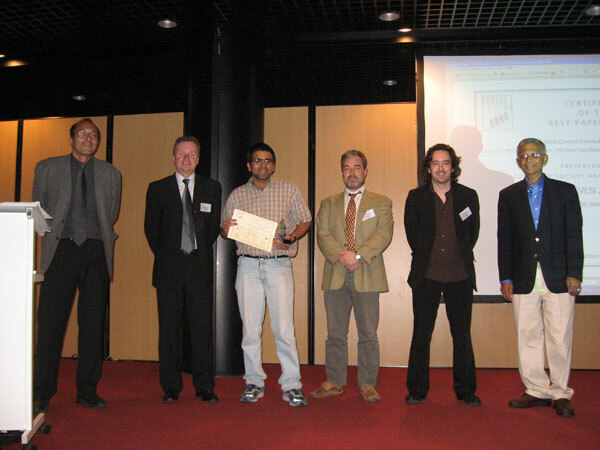 For almost two decades, the Symposium has been a unique forum promoting multidisciplinary research and new visionary approaches in the area of VLSI. It brings together leading scientists and researchers from academia and industry, and has established a reputation in inviting well-known international scientists as invited speakers. The 2008 edition will continue to strive to achieve the high standards that participants have come to expect of this Symposium. Test, Design for Test and Verification. Congratulations to the best paper award ! This paper has been selected among the 6 best papers reviewed by the Program Committee, but also based on the quality of the presentation and the discussion during the conference.